Special Interest Groups – SouthEastern Michigan Computer Organization, Inc.
SouthEastern Michigan Computer Organization, Inc. Frequently an organization will have Special Interest Groups (SIGs). Special Interest Groups cover specific areas of interest in more detail than does the larger group. At the present time SEMCO has three SIGs. These are SIG-Computing, SIG-Programming, and SIG-Linux. The purpose of SIG-Computing is to study topics of interest to people that work with PCs based on Intel or AMD (or newer architecture) platforms. This may include hardware, software, or operating systems. A typical SIG meeting starts with the chairperson reading important computer related news for the past month. She/he then follows with a question and answer period trying to solve the members’ computer problems. There may be a drawing for computer related items that have been donated by the speaker or other sources. The main part of the meeting then follows where the speaker of the day is introduced and gives his/her presentation. 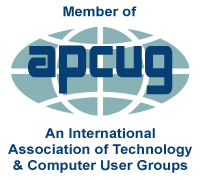 Members are encouraged to recommend SIG-Computing topics or present at future meetings. To suggest SIG-Computing topics, please speak to the SIG-Computing Chair at a SEMCO meeting or e-mail sig-computing@semco.org. SIG Linux was formed September, 2009 with Ray McLaughlin as chairperson. The purpose of this SIG is to advocate the GNU/Linux operating system and open source software, by educating the public and socializing among peers. The SIG was co-chaired by Mike Bader and Mike Rudas, and the meetings were held at the Motor City Free Geek facility. Later Brian Brodsky became chairman and the meetings were moved to the home of Richard Jackson. In September 2014 the meetings moved to Altair, 1820 E. Big Beaver Rd., Troy, MI 48083 after the SIG-Computing meeting. SIG-Linux now meets at 3PM at Lawrence Tech University, Room M213 Buell Management Building, 21000 West Ten Mile Road, Southfield, MI 48075. The current Chair is Sharan Kalwani. Copyright © 2019 SouthEastern Michigan Computer Organization, Inc.